From all of us at Village View Post-Best Wishes for a safe and prosperous New Year. It’s that time of the year again folks; a time when people pause to reflect on the year gone by and make plans for the New Year to come. At this time of year, people often get nostalgic and sentimental about their loved ones, about things around them and things they didn’t accomplish but still want to. We all have dreams, goals and hopes. We all have something we want to achieve in our lives. For some people it’s publishing a memoir. For others it’s just finding the time to sit down and write a very engaging article. And for others it’s something altogether different. When I started this blog three years ago, my only goal was to bring my community to the world. While there was a lot of procrastinating, I am thankful that I was able to spin my wheels all year long without running out of gas. I think I have managed to achieve more than what I set out to do. One thing that I think is super important this time of year is to think about the things in our lives that mean the most to us. What are you spending the most time on? Where are you wasting the most time? How could you put yourself in a position to be more likely to achieve your goals/dreams in 2012? Thanks for reading and I wish you a peaceful and Happy New Year!! All the best to you and yours Linda, may your every wish come true in 2012. 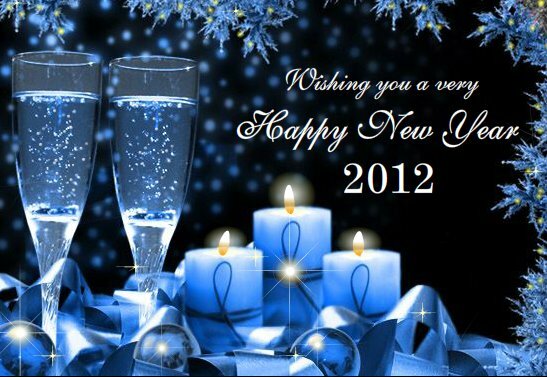 Thank you for the effort in 2011, to make us a better community and so to make this a better world. Wishing you also a peaceful and happy new year! Happy New Year, Linda! All the best for 2012! Happy New Year to you Linda! Happy New Year Miss.Linda and I wish you all God's blessings for this New Year and I hope you have the strength to continue the wonderful work you have doing for the people of Crooked Tree Village. I for one really appreciate your work, you are a gift to people living abroad!!!! Happy New Year once again!!! Well, Linda, I know that we all faced difficulties in the passed year and that we were bless as we mounted over them through the help of the Almighty's powerful hands. I am truly optimistic about what God will continue to do for us during this New Year and I must say that you have been a blessing to so many people through the medium. Do, my love, continue to do good to all you come in contact with; I can almost certain that is one of your resolution for this year. Love to you and your family and A Happy and Prosperous New year as well!